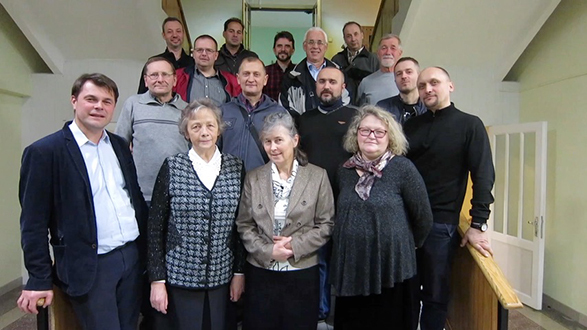 The Slavic Missionary Service missionaries of Belarus are grateful to the Lord and His Church for granting them the opportunity to serve as pastors, evangelists, church planters, directors, assistants, secretaries, counselors, teachers and overall laborers in the “Slavic fields” of the world. All the missionaries possess wonderful testimonies concerning their Christian faith and seek to be worthy examples in their communities. As Slavic Missionary Service guides and provides spiritual and financial assistance, each missionary utilizes the gifts and talents which God has given for Christian service. “For we are His workmanship, created in Christ Jesus for good works, which God prepared beforehand so that we would walk in them” (Ephesians 2:10). Although certain restrictions abound for religious institutions in Belarus, the Christian leadership continues to obey “The Great Commission” in various ways. Freedom exists, as long as the Church conducts its religious outreach within registered buildings or obtains the proper documentation to conduct special events or programs. The SMS missionaries of Belarus thank each of you for your consistent support both spiritually and financially. May God truly receive all the glory for the foundation of faith that has been established in the country of Belarus! Pray that the SMS laborers will “serve the Lord with gladness” (Psalm 100:2) and “through love serve one another” (Galatians 5:13).